Bacon with a twist? 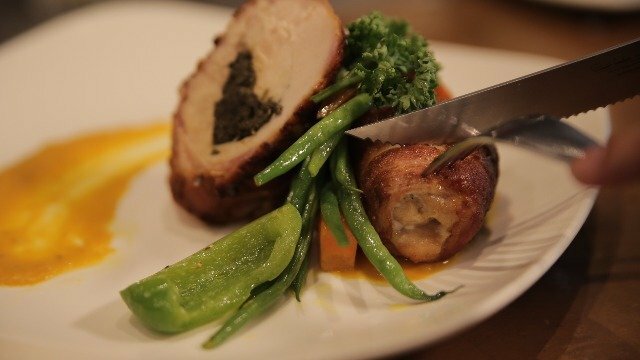 Try these savory eats. 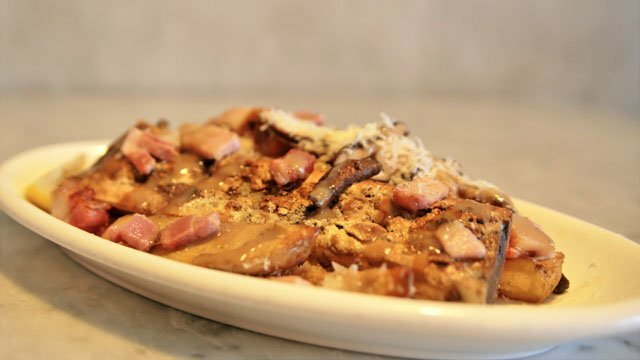 Poutine is a delectable combination of fries, cheese, and gravy. Still, it can be improved with the help of bacon. The mild saltiness of bacon bits and bone marrow complements the original flavors of the dish. FAT is located on Rizal Drive, Forbes Town. 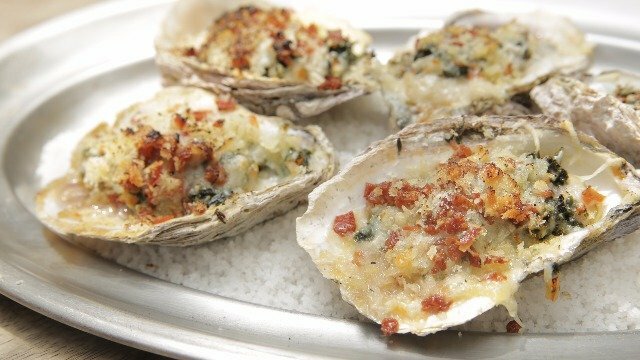 While any oyster dish is appetizing, you can never go wrong by adding bacon bits in it. You get the best of both worlds—seafood and pork. An unconventional pairing, but tasty nonetheless. L’Entrecôte is located on Forbestown Road, Forbes Town. What’s unique about these maki is that they’re wrapped in bacon. Mozzarella cheese and cherry tomatoes are tucked in bacon blankets—they’re flavorful and very easy to eat. 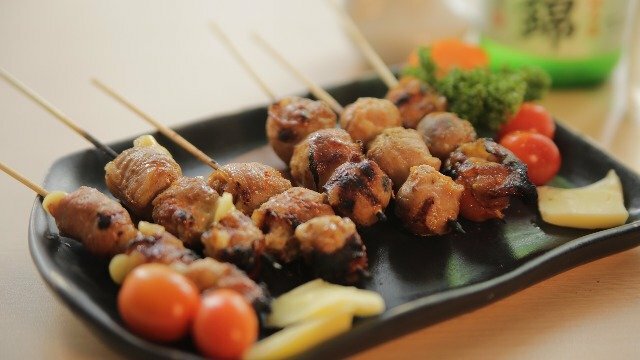 If you're looking for a new type of Japanese barbeque, these two will not disappoint. Keizo Gastropub is located on Forbestown Road, Forbes Town. 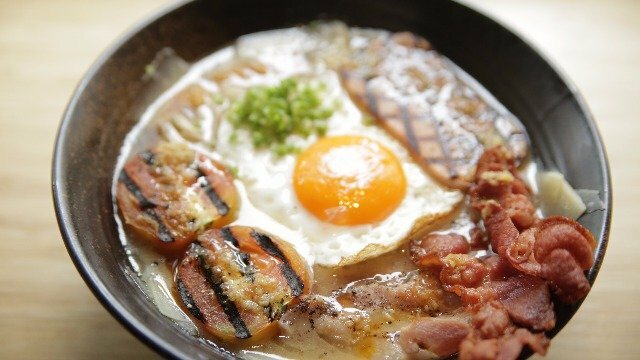 A big bowl of noodles, egg, ham, grilled tomatoes, and bacon will give you your ramen fix, and then some. The creamy and slightly sweet broth is a perfect match for the bacon’s saltiness, which makes the dish extra flavorful. Wrong Ramen is located on Forbestown Road, Forbes Town. This dish works precisely because of its simplicity. The familiar, comforting flavors of chicken and bacon come through in perfect balance, creating a savory combination. This Dwntown & Halsted creation comes with risotto, making it a full meal that’s big enough for two. Dwntown & Halsted is located at Burgos Park, Forbes Town. While this is technically a drink, it deserves its moment in the spotlight because of its uniqueness. 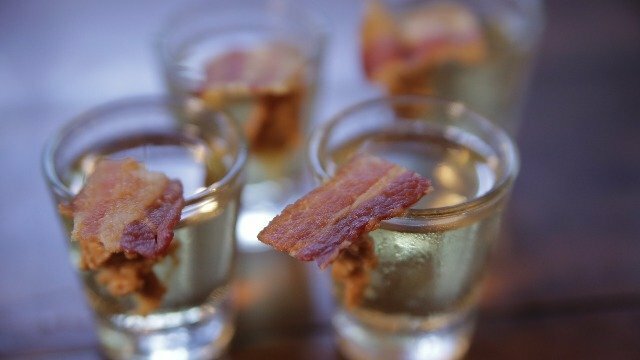 It’s a shot of cold bourbon whiskey with bacon sitting on top and a spread of peanut butter on the side of the glass. The best way to down it? Eat the bacon, take the shot, and lick the peanut butter. The Bowery is located on Rizal Drive, Forbes Town. Ordinary dishes can become extra special when there’s bacon involved. If you want to try these featured dishes, visit Forbes Town from September 28 to October 31 and celebrate Bacon Fest. In addition to these establishments, the following restaurants are also participating in the festival: Big Bad Wolf, Bugsy's Bar and Bistro, Burgers and Brewskies, Casa Italia Café, La Creperie, Locavore, Mulberry Door, Rue Bourbon, Starbucks Reserve, Sunrise Buckets, Susi, UCC Café Terrace, Uncle Cheffy, and Watering Hole. Get ready to loosen your belts! 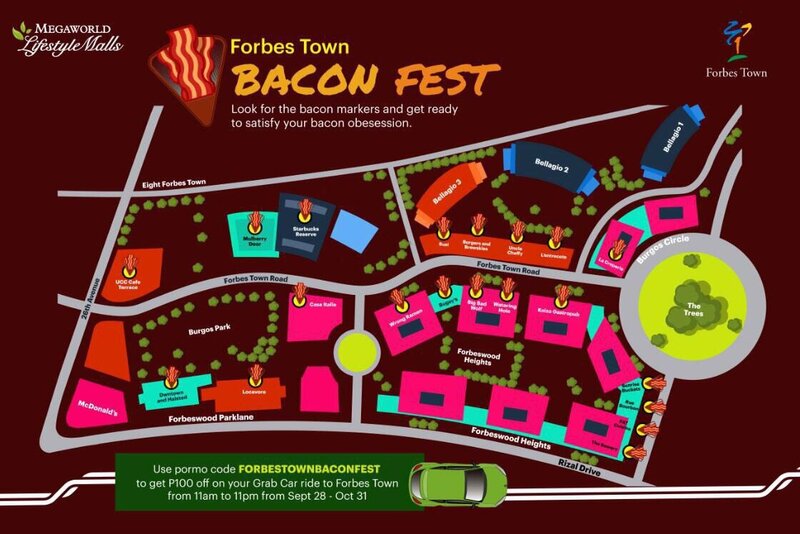 To know more about Forbes Town and the Bacon Fest, follow them on Facebook, Twitter, and Instagram. For more information on Megaworld Lifestyle Malls, visit the official website or download their mobile app for free on Google Play and App Store.